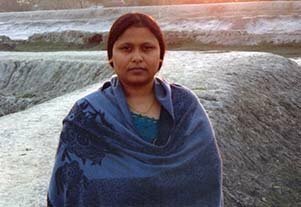 Halima Khatun, Uttar Mamudpur, Hingalganj, North 24 Pragna, West Bengal, was born to a poor family in a remote village in the Sundarbans. Her parents work as bidi rollers and toil throughout the day to run the family. Despite their poverty, they supported Halima’s education and encouraged her to move to Kolkata to join university. “When I left the village to attend university, it was a rebellion. There was sharp criticism in the village. It was quite natural as I was the first girl in the village to attend university,” Halima says, recollecting her shift from her village to Kolkata. Halima and her organisation’s efforts. regularly with our struggles and positive stories of change,” she adds.